Passover is continuing and today begins the Easter weekend, starting with the solemnity of Good Friday and ending with the chocolate-filled fun of Easter Sunday. If you’re looking for something to do between church services and Easter egg hunts, how about a movie? 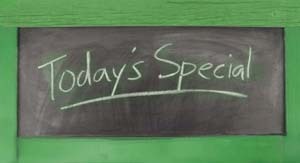 You know we’re all about the movies at Disc Dish. Hollywood has put out lots of films related to the Easter and Passover season over the years, not to mention cartoons and TV specials. But instead of giving a top 10, we’ve compiled what we feel are the best films in a number of different categories. We’ve got a recommendation for everyone — well, everyone but slasher horror fans. Cecil B. 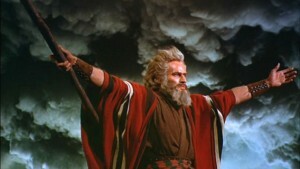 De Mille’s 1956 film about Moses (Charlton Heston, Soylent Green) still stands as one of the great classic movies today. 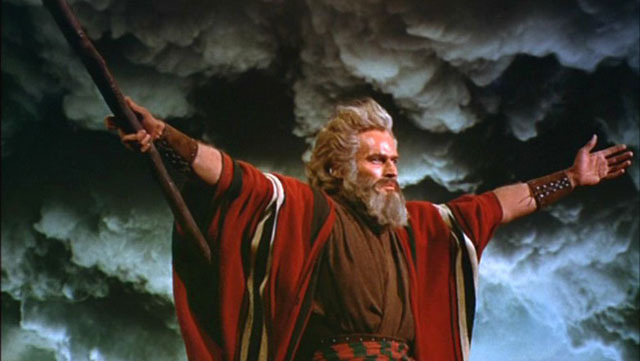 Clocking in at more than 3.5 hours, The Ten Commandments follows Moses from his discover as a baby in a basket to his delivery of the Jews from Egyptian slavery. The film has an all-star cast of classic actors, including Yul Brynner (Escape From Zahrain), Anne Baxter (All About Eve), Edward G. Robinson (The Stranger ) and Vincent Price (Edward Scissorhands). The Ten Commendments just came out in new 55th Anniversary DVD and Blu-ray sets last month (read our Blu-ray review). 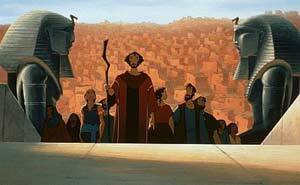 DreamWorks’ beautifully animated movie from 1998 tells the same story of Moses as The Ten Commandments but in a much more family friendly way. Gorgeous songs highlight this PG film, and “When You Believe” won the Best Original Song Academy Award. And talk about another all-star cast. The movie features the voices of Val Kilmer (Bad Lieutenant: Port of Call New Orleans) as Moses, Ralph Fiennes (Red Dragon) as Rameses, plus Michelle Pfeiffer (Stardust), Sandra Bullock (Demolition Man), Jeff Goldblum (Morning Glory), Danny Glover (Lethal Weapon), Patrick Stewart (Hamlet), Helen Mirren (Red), Steve Martin (The Father of the Bride) and Martin Short (Innerspace). Phew! This is one movie we’d like to see in high-definition Blu-ray soon. Hear that DreamWorks? Maybe for next Passover? Max von Sydow (Minority Report) played Jesus in this dramatic and touching rendition of the life of Christ. Director George Stevens’ epic film, which was nominated for five Oscars (but sadly didn’t win), didn’t have the flair of DeMille’s classics, but had plenty of drama. Released in 1965, The Greatest Story Every Told also stars Martin Landau (Rounders), Angela Lansbury (Nanny McPhee), David McCallum (TV’s NCIS) and Pat Boone (State Fair) as the Angel at the Tomb. With Ralph Fiennes (Harry Potter and the Deathly Hallows Part 1) the embodiment of the evil Lord Voldemort, it’s odd to think that he once voiced Jesus Christ, and he did it so beautifully. Julie Christie (Red Riding Hood), Ian Holm (The Lord of the Rings) and William Hurt (Robin Hood) also lend their voices to this movie. 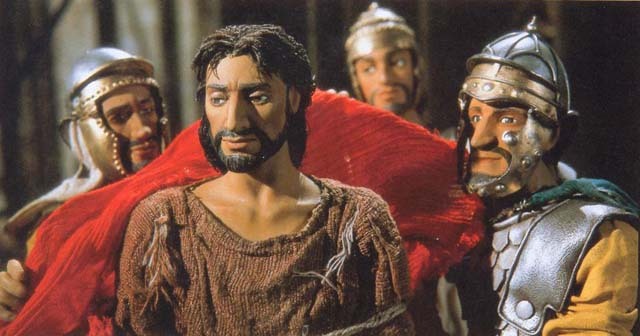 The gorgeously animated film tells the story of the Messiah, including the parables he used to teach the people, in a way that will enchant viewers of all ages. It’s a real family treat. And it was just released on Blu-ray (read our review). We must admit, we have a soft spot in our heart for the little boy with the yellow and brown shirt — not to mention his adorable dog and bird. In this 1974 animated TV special, the Peanuts gang are getting ready for the Easter holidy in their own clumsy ways. 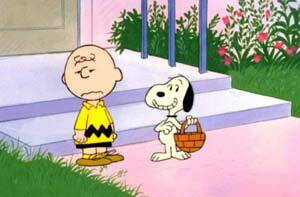 While Snoopy tries to find Woodstock a home, Peppermint Patty tries to teach Marcie to make Easter eggs. Of course, Peppermint Patty’s not the nicest teacher, but it’s all good fun for us viewers. 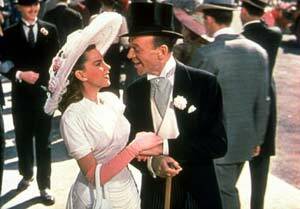 Judy Garland (The Wizard of Oz) and Fred Astaire (Holiday Inn) performing songs by the great songwriter Irving Berlin. Need we say more? Well, we will anyway. In this 1948 film, Astaire’s longtime dance partner (Ann Miller, Mulholland Dr.) breaks up the team, and to prove he can succeed without her, Astaire vows to make any of the chorus girls a star. He chooses Garland, and, of course, she fulfills his hopes beautifully. The movie won an Academy Award, not for Berlin’s great songs, but for its scoring by Johnny Green and Roger Edens. 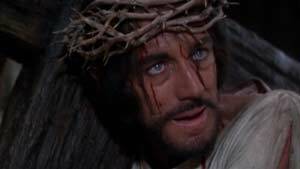 Whatever you think of Mel Gibson after his tabloid news, his The Passion of the Christ is an amazing film, and definitely our all time favorite Easter movie. Beautifull shot, the movie portrays the story of the sacrifice and, well, passion of Jesus Christ like no other. It’s brutal and dark, but ends with joy — and that is, afterall, the story. 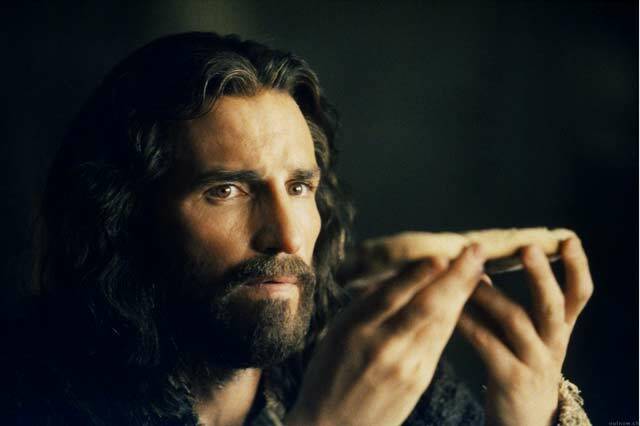 Jim Caviezel (The Count of Monte Cristo) does an excellent job of playing the Messiah, as does Maia Morgenstern in a powerful performance as Mary. It’s not an easy movie, but it’s an important one. 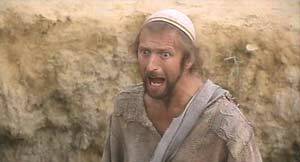 Not to take away from the reverence of Easter, but we did say we had something for everyone, and if you’ve already watched The Passion of the Christ and now need some cheering up, pop in Monty Python’s Life of Brian. In the British comedy troupe’s second feature film, they look at the story of Jesus through the eyes of Brian, who’s born on the original Christmas in the stable next door and spends his life being mistaken for the Messiah, something he just can’t live up to. Funny, but still respectful, Life of Brian is good for a chuckle. What are your favorite movies for Easter and Passover?